It came hours after reports Marina had booted her husband out of their home after accusing him of cheating again. The alleged infidelity is just the latest in a series of scandals surrounding the politician – none of which seemed to have a negative impact on his career. Last night he remained bookmakers’ favourite to become Prime Minister. In a joint statement Boris and human rights lawyer Marina, both 54, said: “Several months ago, after 25 years of marriage, we decided it was in our best interests to separate. “We have subsequently agreed to divorce and that process is under way. Boris and Marina, daughter of BBC journalist Charles Wheeler, first met when pupils at the European School, Brussels. The Tory MP and former London Mayor wed first wife Allegra Mostyn-Owen in 1987 after they met at Oxford, but split when he had an affair with Marina. They married in 1993 shortly after Boris’ first marriage was annulled. The couple have three other children – Milo Arthur, 23, Cassia Peaches, 21, and Theodore Apollo, 19. Friends said the pair have been living apart for months and split before Boris resigned as Foreign Secretary in July in protest at Mrs May’s Brexit blueprint. One of the last times they were seen together publicly was when Marina helped Boris move out of the grace-and-favour apartment the couple had shared at Carlton Gardens, London, after he quit. Boris has been thrown out by Marina twice before – the first in 2004 over his affair with writer Petronella Wyatt, then again in 2010 after he fathered a child with art consultant Helen Macintyre. This time it appears there is no chance of a reconciliation. 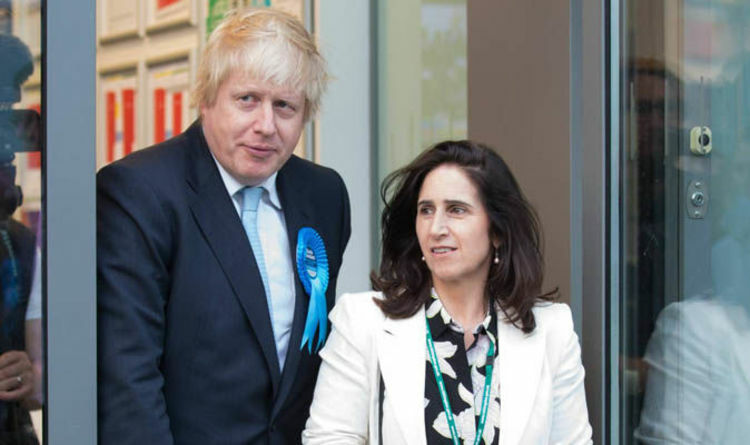 Cambridge-educated Marina, a QC, is said to have been one of Boris’s closest political confidantes. He credited her as a key influence in his decision to back Brexit before the EU referendum. Last week there was no sign of Marina when Boris took their four children to his father Stanley’s holiday villa in Greece. Boris has been staying at his country home in Oxfordshire. Yesterday he declined to comment as he jumped into his people carrier before heading to his constituency office in Uxbridge. Bookmakers were offering odds of 7-2 that Boris will be Britain’s next PM. He was ahead of Home Secretary Sajid Javid at 11-2 and Jacob Rees-Mogg at 7-1.